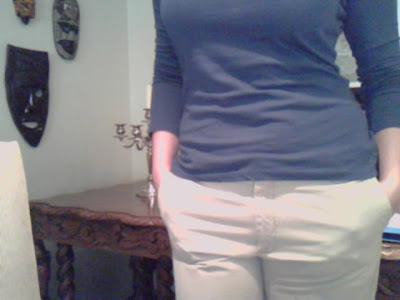 I just put on a pair of khaki pants that haven't fit in oh say 2 years! Jennifer let me keep them when we did my what not to wear but promising that if they didn't fit soon I'd let them go. Yay they get to stay! Thank you, yoga and healthy eating! Woop woo! Cliff is out of town this weekend at an airshow and I let him take my camera!